The 38-year-old presenter was reportedly on holiday when the raiders struck at his £2 million property in Highgate, North London, on Thursday. The vehicles, believed to be an Audi RS and Mercedes ML63 AMG worth around £100,000, were stolen from the scene but have since been recovered by police. A Scotland Yard spokesman said: "We are investigating a burglary that took place on Thursday at an address in Highgate. "Two vehicles that were stolen as a result of the burglary have been recovered and inquiries are continuing. There have been no arrests at this time." 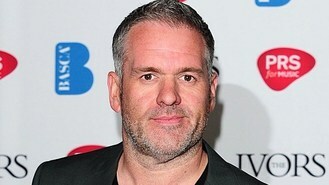 Moyles, the longest-serving breakfast host in Radio 1's 45-year history, will present his last show next month after eight years behind the microphone. He is being replaced by Nick Grimshaw.